‘They drove poor Oscar to his grave,’ The Divine Comedy’s Neil Hannon sings on his album, ‘Absent Friends’, echoing the revised opinion that had transformed Oscar Wilde from ‘reviled pervert’ to ‘martyred genius’. As various anniversaries arrived, the genius of Oscar was commemorated with great style and occasional crassness. Reformed public opinion was well under way back in 1960 when two Oscar Wilde films went head-to-head, with the writer played by Peter Finch and Robert Morley. Of the two, the cheaper Morley version came out better. Both pleaded cases for greater understanding of the injustice against Wilde. It was history writ largely and made simple; a wronged artist against a rabid extremist (who was probably mad). Even when he tackled the story of his own life, ‘Oscar Wilde and Myself’ he had to have it ghost-written, but in such cases the name makes the sale. Bosie became a rabid Wilde-hating anti-Semite and is buried in Sussex, where he puts the creepy into Crawley. So, by the time we get to 1997 the film ‘Wilde’ positions Oscar as the Story of the First Modern Man (I should know, I came up with that). Working on the film required me to go over the court transcripts and other documents that were only just seeing the light of day, not because they had been hidden but because public interest had reached a fresh peak. That was where the nagging feeling began; that while Oscar had not exactly Brought This On Himself, he had certainly been so astoundingly blind, arrogant and ignorant of the protection afforded by his position that he actively courted and dared retribution. Again and again in the court reports, especially in the early stages his sense of entitlement is overpowering, as he simply refuses to take the matter seriously and skirts around the law in order to play to the gallery. Out of the court his behaviour does not change one iota. Loving the limelight, he exaggerates his image and steps further to the edge. It’s only in the second trial that Wilde starts to treat the situation as seriously as Carson, Queensberry’s QC, who meticulously draws the net of the law more tightly around him. A graceful but still rather theatrical show of contrition comes too late. Wilde is sentenced and creates a wave of rabid homophobia across the country that will see young men beaten up and thrown in jails for decades to come. So when I come across lines like ‘they drove poor Oscar to his grave’ I think ‘No, they didn’t’. 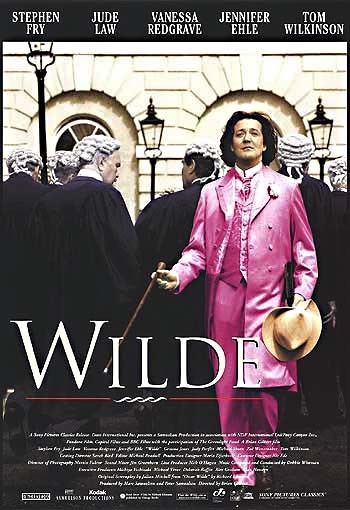 Wilde adopted the attitude of privileged protection afforded to the upper classes without recognising that the code covering it required just one thing; to keep it within one’s own circle. Searching for a bit of nostalgie de la boue he stepped outside of his class not from rebelliousness but out of desire. And so he did what he wanted until the end, and others suffered for it, and while I am in awe of the man’s talent I find it hard to think of Wilde as ‘Poor Oscar’. Feel free to vent. That’s what this site is all about. I happen to agree, [I’m sorry if you were expecting anything else]. ‘Liasons’ between men were not sanctioned or even oficially tolerated. But existed ‘behind the curtain’, the newly formed Police Forces were not generally interested in nicking anyone for it. Unless their Senoir Officer was a bit of a zealot or it caused ‘Public Outrage’. Making a big flappy arse of himself in court and consequently in the papers, made him a ‘Folk Devil’ and created a moral panic that demanded ‘Something Must be Done!’ This bitter legacy lasted for decades. I agree too – but sadly. He had become so accustomed to jumping up and down and shouting ‘Look at me’ that he was impervious to the seriousness of the danger he was in. All those clichés – ‘brought it on himself’, ‘his own worst enemy’, but sometimes the clichés are right. I suppose one should be grateful for the arsenical wallpaper, if that’s what did for him. Once dead at least his plays could go on being enjoyed. It does seem almost impossible to believe that he wrote about upper class mores so well and yet didn’t or couldn’t see how they applied to him. You say he adopted the attitude of privileged protection, but I’m not sure that Queensbury would recognise that he had that right. I think he was hated as much for being an outsider as for being Bosie’s seducer.